The admonition is clear, read God’s Word daily. Do you do that? Do you have the time to do it? Most Jehovah’s Witnesses will try, but with so much study material from the Watchtower Society it is very difficult to do. If you do manage to, which translation do you read, and what will you do if you do not understand something you have read? The Watchtower Society often points to their New World Translation as being the most accurate translation of the Holy Scriptures. With the name Jehovah printed more times than any other Bible, have you ever wondered why? Do you really know how accurate it is? It is one thing getting the ‘flavour’ of the scriptures, it is another basing your whole belief system on details that are presented as accurate. When a Jehovah’s Witness is unsure of a certain scripture they are encouraged to do research. This appears to be a very commendable thing to do. However where is such research to be carried out? In the Watchtower publications, after all they are meant to be publishing the truth. However, are they? 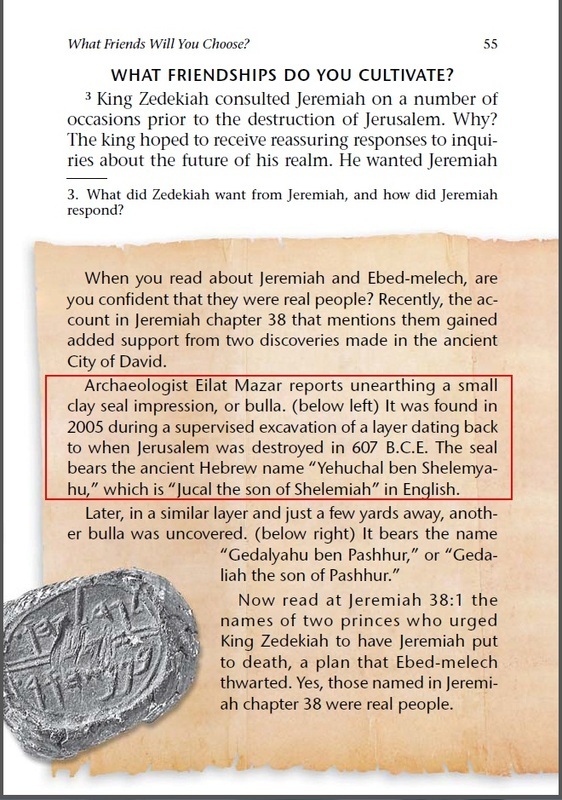 It would seem that Prof. Eilat Mazar upholds 586 BCE as the date Jerusalem was destroyed. Why would The Watchtower Society be deceptive over a mere date? Because the date of 607 BCE is the date they need to fit their prophecy of Christ being enthroned in 1914! Of course, Jehovah’s Witnesses are not supposed to do research in publications other than the ones provided. Have you ever wondered why? Copyright © 2019 x JW.org. All Rights Reserved. Tonic created by c.bavota.